Please find Momo-chan, our garden princess. How shiny she is! It seems to Mei-Shun that this 80% blossom is the best. On the other hand, 染井吉野 in the park where she walks in the morning blooms still in 30%. 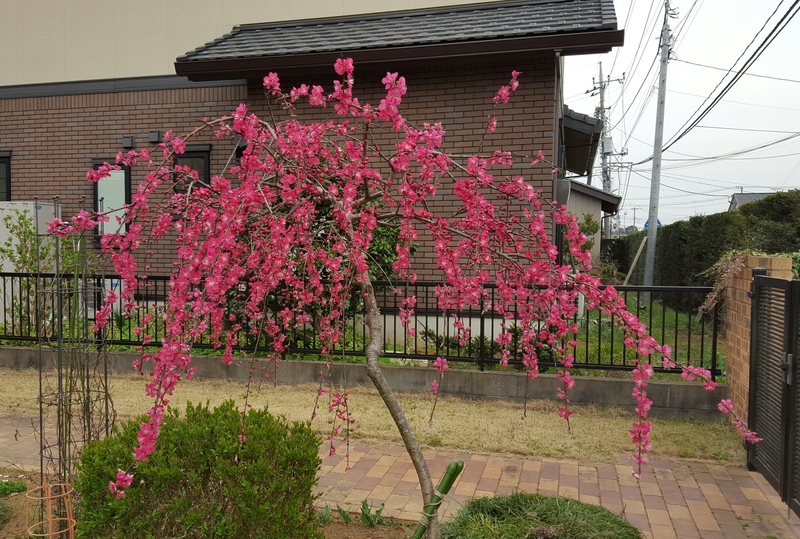 There are 八重桜=yae-sakura trees as well, whose gorgeous flower we could see a month later. 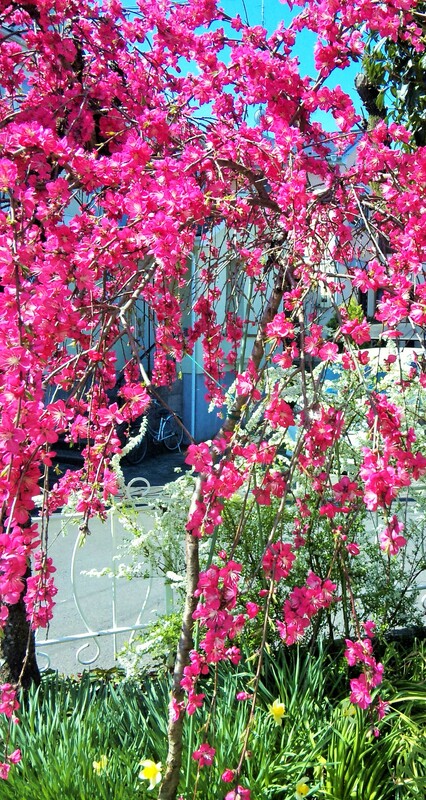 Such diversity of spring pink makes our mind really full of joy. Master Mei-Shu gave Mei-Shun a lesson. The latter was surprised at hina dolls still displayed — it is a custom for Tokushima women to show their dolls for as long as 2 months before and after March 3rd. It made Mei-Shun feel like turning back time to February. Now we have enough time to prepare for 邦楽発表会 planned to be held on November 13th, don’t we? 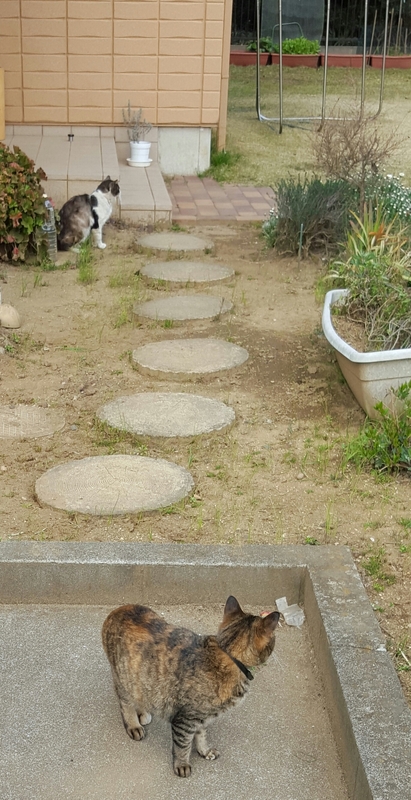 Dora-chan, perhaps father of Tora-chan’s four kittens, is often seen in our garden these days. Yes, that season has come. We often hear him call Tora-chan at night, find his marking on the front door. Hi, Mr. Deck Brush, it is your turn to work. We would like to have him neutered, yet he never let us approach within a circle 6 feet in diameter around him. 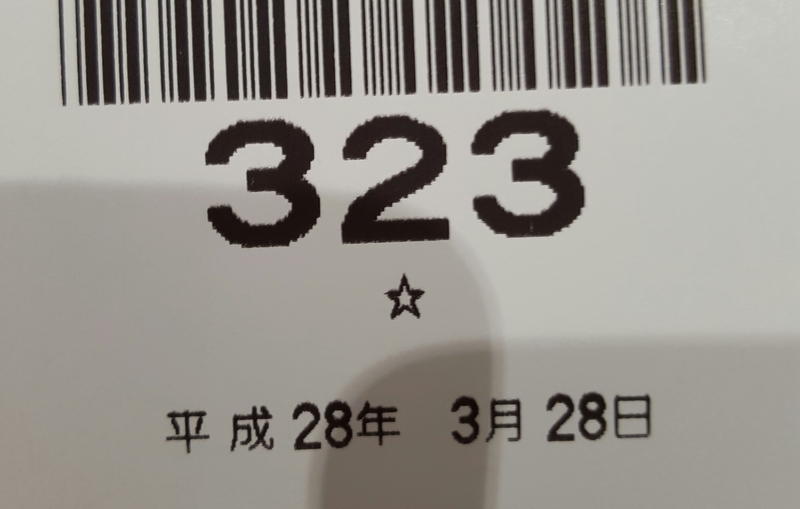 Mei-Shun visited the municipal office to apply for her passport renewal, expecting the date of issue to be set on March 30th — the third candidate before it expires on coming April 10th. She completely left the hospital on that day last year. The second candidate came in waiting number, made her so happy. This is Queen Peach, mother of Momo-chan whose slender sister is seen on this side. The latter had passed away one year after the photo below was taken. Mei-Shun heard it from mom recently, shocked so much. We have to be like 桜守=sakura-mori, gardeners who take care of famous cherry trees while growing descendants of current breeds to keep loved beauty for long time. It was freezing this morning, representing 三寒四温 of this season with a drizzle in which nobody except for Mei-Shun uses umbrellas in her family. Oh, Tora-chan, you are kind enough to follow her to the garbage collection point. Please keep yourself dry under the eaves. Mei-Shun practiced “Clair de Lune” by Debussy in the afternoon, wishing to see 十五夜 over such thick clouds. And it might work, when she drove to pick Shin up after dark, round silhouette of moon appeared for just a moment. Thanks a million, wind, though we have a slight chill with you.